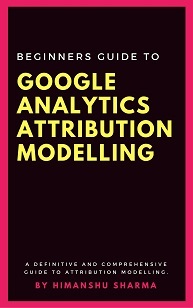 How to give someone access to Google Tag Manager Account? ‘Admin’ and ‘User’ are two types of account permissions. 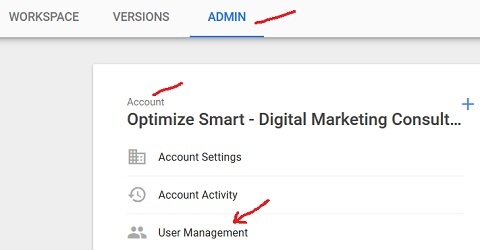 ‘Admin‘ – A person with this permission can see and edit the account settings, account activity and user management (i.e. list of people who have got access to the account). A person with this permission automatically inherit ‘Read’ access to all the containers added to the account. 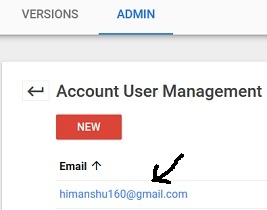 ‘User‘ – A person with this permission can see the account settings, account activity and user management (who have got access to the account) but can not edit any setting. A person with ‘user’ permission automatically inherit ‘No Access’ permission for all the containers added to the account. So he can not see the containers listed in the account. 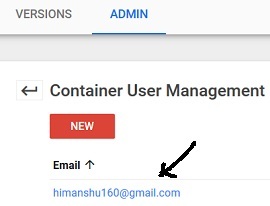 Now enter his email address, select account permission and container permission for each container listed in the account. Now change the account permission and/or container permission for each container listed in the account. Whenever you give GTM account access to a person, you give that access either at the account level or the container level. 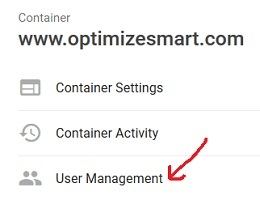 In other words, the GTM access given for a particular website is called the container permission. No access – A user with this permission will not see the container listed in the account. Read – A user with this permission can see the container listed and can view/browse the tags, triggers, and variables in the container but will not have the ability to make any changes to them. Edit – A user with this permission can create workspaces and make edits (to tags, triggers and variables) but can not create or publish versions. He also automatically inherit the ‘Read’ permission as the container level. Approve – A user with this permission can create a version but can not publish it. He also automatically inherit following permissions at the container level: ‘Read’ and ‘Edit’. Now enter his email address and then select appropriate container permission from the drop down menu. 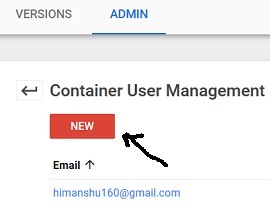 Now change the container permission from the drop down menu.